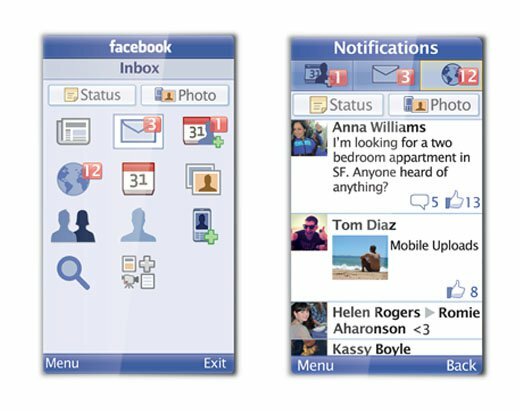 Facebook has today announced Facebook for Every Phone, an app for any Java enabled phone that allows access to most of Facebook’s features to phones without a way to install native apps. The app will work on any phone that uses Java, servicing some 2,500 models of phones that have not previously had access to an official app for Facebook. To celebrate the launch of the app, Facebook is making data used by the app free for 90 days in many countries around the world. The app has been specially designed to use less data than a typical Java or native app in order to keep it affordable in countries where data is typically expensive. The app is available today, giving users worldwide access to Facebook’s News Feed, Inbox and Photo apps, as well as uploading tools and contact management. To get the app, you can go to m.facebook.com and and scroll down to the bottom, or enter the d.facebook.com/install into a mobile phone browser. The app will also be available in free app stores like GetJar. You can see the list of carriers that Facebook has partnered with to offer free data for the first 90 days here.